Clockwork Orange costume for hire. This Kubrik character is perfect for a 1970s movies party. 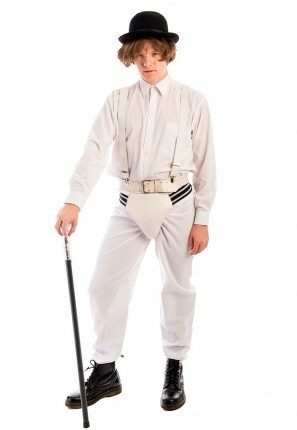 Get your droogs together for a night out in this costume, just try not to break the law!